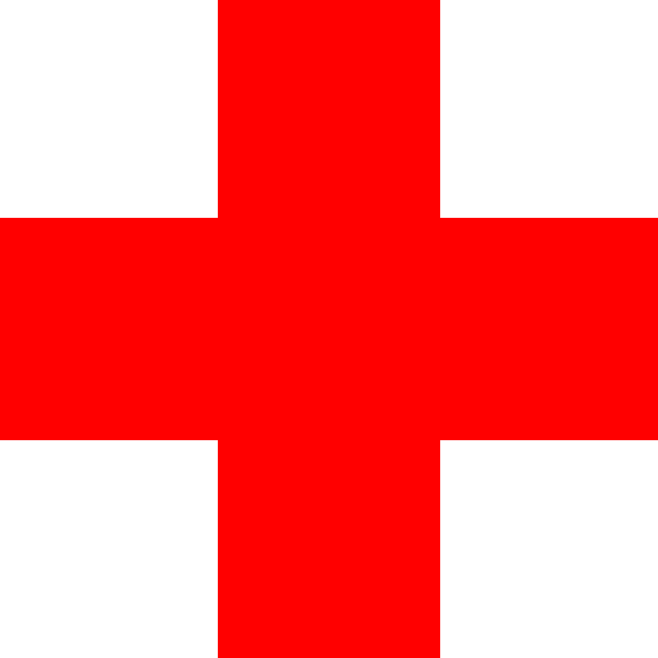 Fort Tuthill is a Coconino County Park located just south of Flagstaff (I-17 exit 337). The park hosts a number of outdoor activities including camping, hiking, mountain biking, equestrian events, etc. The park is also home to the Flagstaff Extreme adventure course, a tree-top obstacle course that includes ropes, bridges, slides, etc. 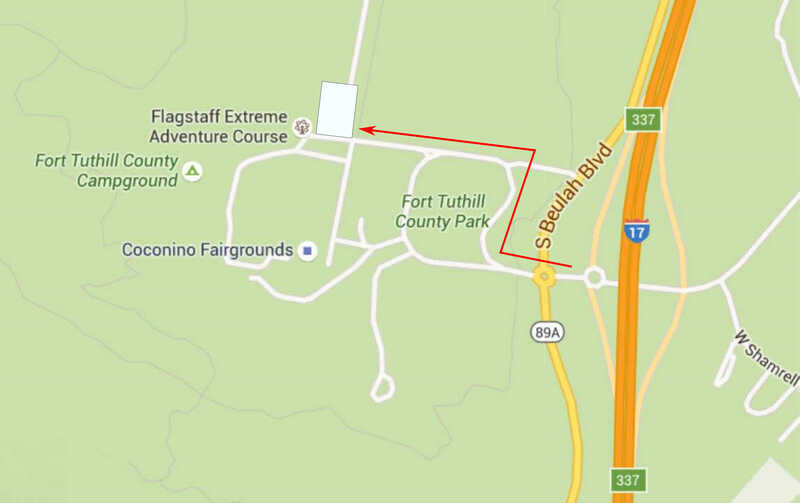 The Phoenix Orienteering Club in partnership with Flagstaff Extreme have obtained permission to host orienteering events in the cool pine forest in and around the Fort Tuthill County Park. 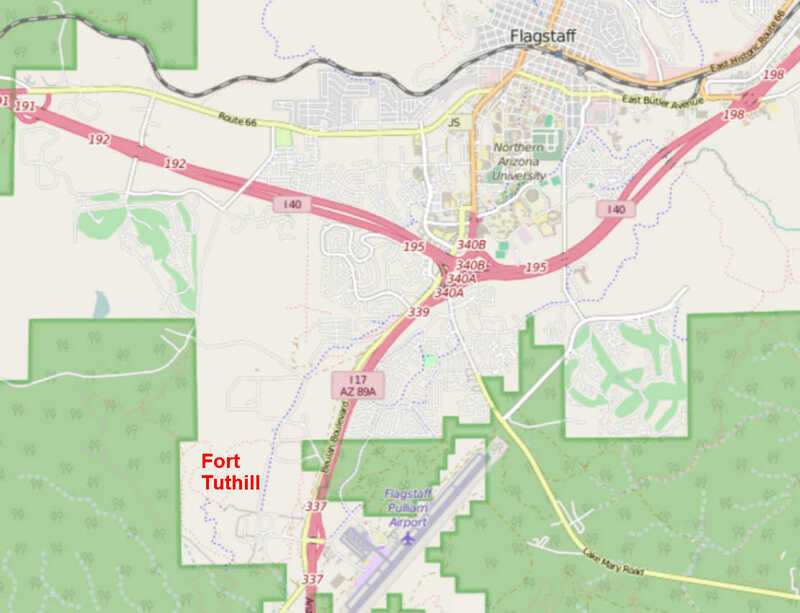 Click here to automatically open a browser window to a Google Maps webpage with a marker at the Fort Tuthill County Park. Parking is located in the large parking area to the north of the Flagstaff Extreme main office. Look for the orange and white orienteering signs. Travel south on I-17 approximately 3 miles to exit 337. This is the exit for both the Fort Tuthill County Park and the Flagstaff Airport. After exiting I-17, travel west to the large round-about, then continue west from the roundabout into the Fort Tuthill County Park. Turn right (north) at the first turn to follow the entrance road into the park. Turn left (west) at the next turn to continue to the large parking area to the north of the Flagstaff Extreme main office. Look for the orange and white orienteering signs. Click on a map below to open an equivalent Google map or Open Street Map in a separate window.